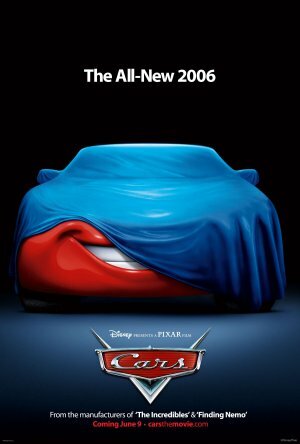 Disney / Pixar’s “Cars ” certainly isn’t the first feature about anthropomorphized automobiles. In the past, we’ve met Herbie, “The Love Bug ,” the talking rental cars in the 1972 Austrian film, “Shirts Up, Knickers Down” (you don’t wanna know) and numerous vocal vehicles in educational shorts like (aptly enough) “The Talking Car” (1969). Cars don’t have to talk to convey personality. 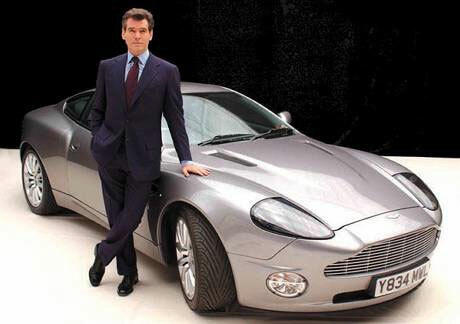 There are hundreds of motion picture cars as memorable (if not moreso) than their human co-stars: Frank Bullitt ’s Mustang, the Dodge Challenger in “Vanishing Point ” (1971), the Daimler DB18 in Fantômas (1964), Tura Satana's Porsche 356 from “Faster, Pussycat! Kill!Kill! ” (1965), and pretty much every car in “American Graffiti ” (1973) just to name a few. But what if some of those distinctive movie cars could talk? What if automobile voice technology that’s just in its infancy in modern cars were invented long ago? What would a car sound like if it were being riddled with bullets, like Sonny Corleone’s sedan in “The Godfather ” (1973) or the getaway car in “Bonnie and Clyde ” (1967)? “NO, I’m an innocent accessory!! I never asked to be a part of this family! Please, spare my tires at least!! .... Aah-OOOO-guuhhhhh....” followed by a true death rattle. Imagine a Batcave confab among the various Batmobiles of the silver screen. The classic converted Lincoln Futura driven by Adam West in the 1966 TV spin off would probably wax poetic about the loss of style these days and complain about Batman leaving potato chip crumbs on his floor. Meanwhile, the tank-like “Tumbler ” from 2005’s “Batman Begins ” would taunt the other Batmobiles about their inferior size, definitely overcompensating for something. Similarly, the phallic, machine-gun-laden Batmobile from Tim Burton’s films would probably just blather on and on about Catwoman’s kiester... or maybe Robin’s. Being in an animated Pixar film, Bob Parr’s abused Nash Metropolitan COULD’VE shouted out in pain as its super-powered owner crumpled, smashed and tossed it in the air, but it would’ve totally blown the realism of “The Incredibles ” (2004). Stylish computer animation aside, Brad Bird’s brilliant ode to family carries more emotional resonance than most live action dramas. There’s no room for talking cars. Still, more vocal rides are headed for a theater near you. 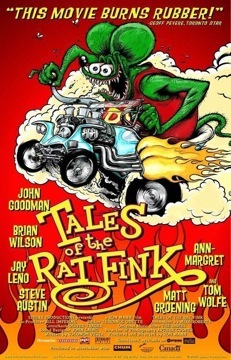 Soon you’ll be able to see “Tales of the Rat Fink ,” a biography about Hot Rod Culture Icon Ed “Big Daddy” Roth , featuring animated autos voiced by Matt Groening, Ann-Margret, Stone Cold Steve Austin, Jay Leno, Tom Wolfe and more. And, yes, the rumors are true. 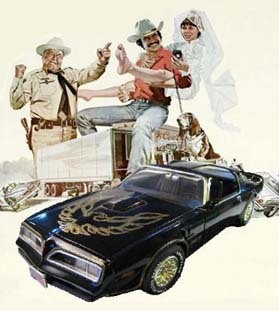 As the ‘80s revival continues unabated, plans are underway for a big screen version of “Knight Rider.” We just hope that this time around, whomever voices KITT not only gets credited (the great William Daniels, the car’s voice in the show received no credit at all), but receives rightful position as second billing. Not behind whatever Hasselhoffian hunk scores the role of Michael Knight, but behind the real star of the show: the CAR. After all, nobody’s going to go see “The Fast and the Furious: Tokyo Drift ” for Bow Wow’s acting!! Turns out the KNIGHT RIDER reboot was another TV show, not a movie, and that thing made the original series look like a masterpiece (although my pal Gretchen was in one episode).